 The headline news around here is that VPCS was recently awarded both the program and the construction management assignments for the entire Napa Valley Unified School District (NVUSD) $269 million Measure H bond. We’ll be supporting the efforts of a talented team of in-house professionals from various NVUSD departments, as well as numerous consultants who have been hard at work moving this program forward for nearly two years. Passed in 2016, Measure H will fund modernization and new construction efforts throughout the district’s geographic area encompassing the City and County of Napa, American Canyon and Yountville. Improvements will include technology upgrades and an overhaul of the district-wide kitchen infrastructure, as well as traditional campus and playground work. As I say, those are the headlines. But if one were to read between those lines, it would reveal just how proud and honored we all are to have earned this work. It is a very big deal to us that NVUSD has entrusted us with this important contract. Let me share a few reasons why. First of all, this contract brings the combined total of active projects that VPCS has under design and construction to more than $1 billion. We have reached this exciting milestone by maintaining a steady and strategic pattern of growth over the span of our 22-year history. Secondly, this proves not only that we can be in the same room with established industry leaders but that we can effectively compete against them for significant contracts. We were one of numerous PM/CM firms that originally submitted proposals for the Measure H work; then we were named to the short list; then we were awarded the assignment. Rising to the top of this prestigious list of local and national companies reflects our time-tested abilities to deliver quality and integrity on both the program and construction management sides of the business. We’re pleased that NVUSD recognized what we’re capable of. Also, this gives us a wonderful opportunity to make a difference in our own backyard. While VPCS has job trailers sprinkled throughout California, we’ll carry out our Napa assignment just minutes from our company headquarters in Fairfield. We’ll get to work with area architects and subcontractors with whom we’ve established strong professional relationships over the years. Being local didn’t get us this assignment, but it certainly helps solidify the connections that will be forged over the next few years among members of the project team, the district and the community. Kelli Van Pelt Jurgenson will serve as our program manager, overseeing funding and schedules while interacting closely with NVUSD staff. VPCS Senior Project Manager Ray Green will manage active construction, including all site-specific project managers distributed throughout the district. Both will be supported by VPCS staff. As for me, I’ll have the great pleasure of keeping my eye on the entire effort and lending a hand whenever and wherever it’s needed. I often get nostalgic thinking back on when my brother, Mike, and I got VPCS off the ground in 1996. We were young and ambitious and eager to make a name for ourselves. We sometimes joke about how that was our “garage band” phase. Now here we are, 22 years later, and our little band has more than a billion dollars under contract. We’re not just making a living; we’re making a difference. We love what we do, we have a fantastic roster of clients who mean the world to us, and we’ve always remained true to our core principles of quality and integrity. I’ll raise a glass of Napa Valley wine to that! Way to go, guys! I’m proud to have been there from the start.